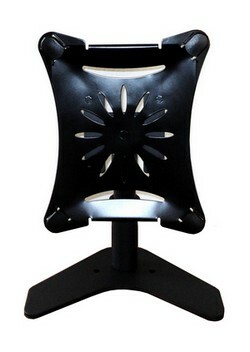 * Sale Price: $109.00! 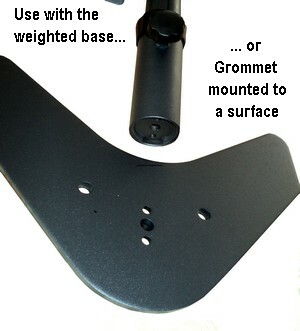 + $22.00 Shipping (Ground contiguous U.S). 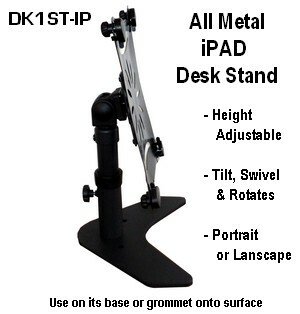 Install you IPAD 1 or 2 or similar size tablet on this sturdy desk stand. 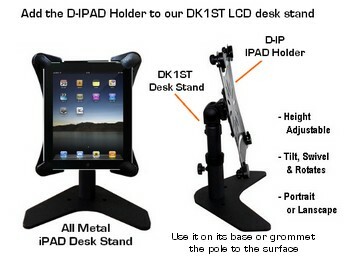 This item is actually a "combo" of 2 items: our All-metal DK1ST Monitor Desk Stand plus our All-metal D-IP iPad holder. - Sit or stand operation: the variable height plus its 45 degree up-tilt allows for standing operation, when placed on a regular height table. 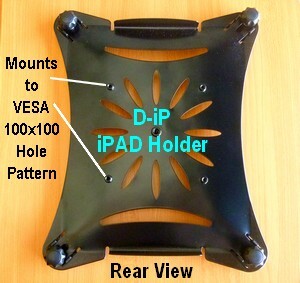 - Use each item separately, if you wish: DK1ST as a monitor stand and the D-IP on any VESA bracket. 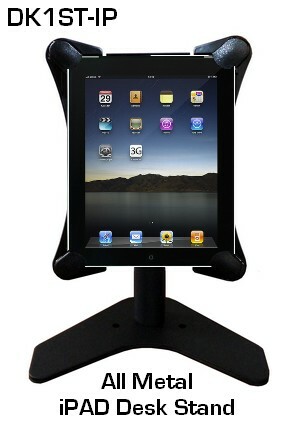 - Stand's Height: adjustable from 7.5" - 9.5" (desk surface to center of iPAD). 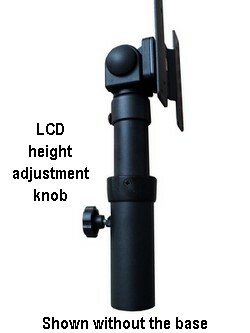 showing the VESA 75/100 LCD bracket used to also mount a LCD monitor.